A combined mens skin care and shave kit. Similar to our Deluxe kit, this kit contains an extra No Friction Shave Creme and our popular Facial Regenerator. Whether you shave once a day or once a week, Facial Regenerator is a MUST for healthy skin. We''ve created an antioxidant complex for men which includes Hemp, Green Tea, Aloe Vera, Jojoba Oil, Almond Oil, Vitamins A-C-E, Provitamin B5/B1-B2. 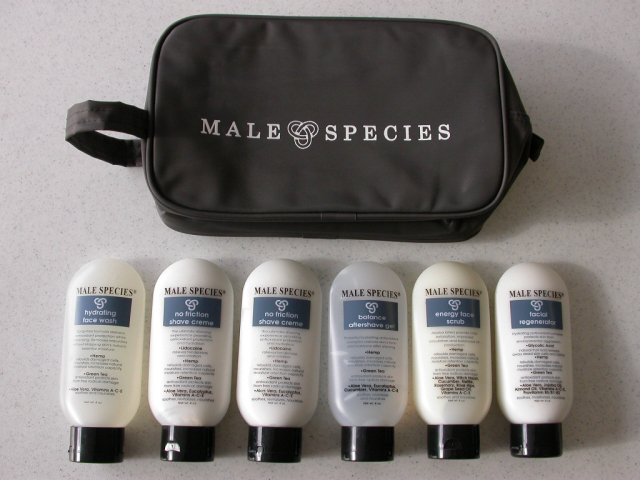 Our Male Species Travel Bag included!